On March 25, Minister for Planning and Development Makhdoom Khusro Bakhtiyar arrived in Quetta with his entourage. He was accompanied by top officials of his ministry and the National Highway Authority (NHA). He held meetings with the provincial government over the allocation of development funds and also visited Turbat and Gwadar, the pearls of China Pakistan Economic Corridor (CPEC). This visit can be perceived as an attempt by the Pakistan Tehreek-i-Insaf (PTI) government to placate province regarding its CPEC grievances. Last week, the Central Development Working Party (CDWP) with Khusro Bakhtiyar on chair, approved Rs79 billion projects for CPEC’s western route which passes through Balochistan. 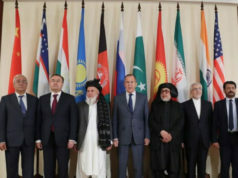 Funds were approved for expansion of the Kuchlak-Zhob section of the N-50 highway. If completed, this will be the first four-lane highway in Balochistan. After the meeting, Khusro Bakhtiyar told newsmen that the PTI government will prioritise previously neglected areas in its development programme. Announcements by the federal government are welcome in Balochistan but they are also viewed with a degree of scepticism. The reason is that in the last five years, the government led by the Pakistan Muslim League-Nawaz (PML-N) made a lot of promises to the people of Balochistan in the name of CPEC. Ahsan Iqbal, who preceded Khusro Bakhtiyar, was leading the project. Every time the opposition or civil society complained the projects, he made empty promises and distorted the facts to prove that the PML-N was doing enough for Balochistan. A senior official in the Balochistan government who had worked with Iqbal described him as a “skilful liar” who always found a way to avoid hard questions about project allocations under CPEC. Former Prime Minister Nawaz Sharif inaugurated the construction of a highway in Zhob. 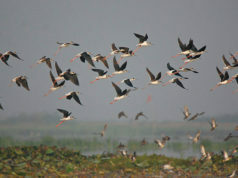 It was termed as the inauguration of the western route. Later, it was revealed that the road was being financed through an Asian Development Bank (ADB) loan and the project was not made part of CPEC agenda at the time. In this context, the political leadership in Balochistan takes all promises by the federal government with a pinch of salt. It is hard to believe that the PTI government will include western route projects in the Annual Development Plan for next year. 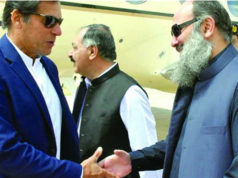 Another reason to be sceptical is the absence of funding for Dera Ismail Khan-Zhob route, which connects the highway to the northern part of the country. In the March 25 meeting, the provincial government presented a long list of development projects to Bakhtiyar. A government official who attended the meeting toldThe Friday Timeson condition of anonymity that the provincial government presented a list of 38 projects amounting to Rs215 billion in the next federal development budget. Bakhtiyar expressed that it would be difficult to finance so many projects given financial situation of the federal government itself. However, he promised that Balochistan would receive a large chunk of development funds in the next budget. During Prime Minister Imran Khan’s visit in November last year, China had agreed to provide $1 billion grant for socio-economic development for Pakistan. Bakhtiyar claimed that Balochistan would get a sizeable share from this Chinese grant. The provincial government also asked the federal government to develop roads in Quetta. To this demand, a team member from Bakhtiyar’s side argued that this can only be done if the Balochistan government brought these roads under the control of the federal government. It was a polite rejection. Under these circumstances, the PTI government is duty-bound to raise the confidence of provincial government over CPEC. There is a lot to be done on this front and it starts with transparency. To date, agreements under CPEC have not been made public. No one knows with complete certainty the terms and conditions of these projects. This needs to change and the PTI should make these agreements public. The first step can be to share the original agreements with top officials of the Balochistan government. This will be very helpful in restoring confidence of the provincial government in CPEC and the federal government. 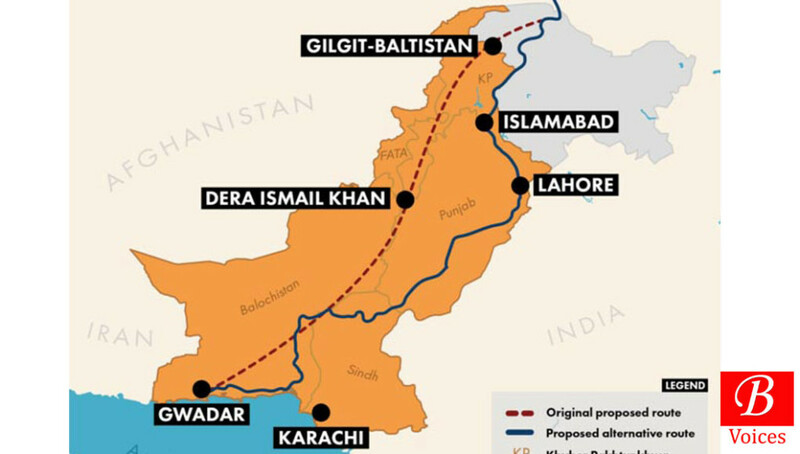 Furthermore, the federal government should tell the truth about CPEC – that it is commercial project and not an economic lifesaver for Pakistan. There is limited assistance that Balochistan can get from CPEC and the federal government should not present an unrealistic picture to the people of Balochistan. This means that the Balochistan government has to develop other plans to salvage its economy. CPEC agreements relating to Gwadar port must also be revised to protect the interest of the people of Balochistan. According to the Ministry of Maritime Affairs, Gwadar port generated Rs358 million in revenue over the last three years. This revenue was divided between China Overseas Ports Holding Company and the federally-controlled Gwadar Port Authority. Balochistan government did not get a single rupee from port revenues. CPEC does have the potential to develop the communication infrastructure of Balochistan. Even if major highways are upgraded into dual carriageways under CPEC, then it will be a sufficient gain for the province. The federal government, in consultation with the provincial government, should develop a composite plan for developing all highways of Balochistan into dual carriageways. Funds for this ambitious plan can be pooled from federal PSDP, provincial PSDP, and CPEC funds.